If you're planning on picking up a new iPhone X, 8, or 8 Plus, or maybe a Samsung Galaxy S8, S8+, or Note 8, you'll want to consider a wireless charger. While you might feel a bit fancy charging your smartphone without a cable, that pomp might come at a price. Thankfully, Black Friday is almost upon us, and we know all about the best deals. In the list below, we've collected all of the biggest Black Friday (and Black Thursday aka Thanksgiving) deals on wireless chargers for your compatible iPhone or Android device. Keep in mind that you'll find more options for iPhone accessories than you will wireless chargers this holiday season. However, the deals are out there, you just have to know who's got them. Keep in mind that if you are getting one for an iPhone, you'll want to make sure that the wireless charger you get can put out at least 7.5 watts of power since an iOS 11 update will bump up wireless charging speeds from 5 watts to 7.5 watts. While other products exceed Amazon's wireless charger inventory by the dozen, there are still some great deals to be found here. Better yet — many of these deals are available right now, but they go fast. You can save as much as 60% off a wireless charger today, so get shopping! Best Buy might only have one wireless charger on sale this Black Friday, but at 50% off, it's a hard deal to pass up. If you find yourself at Best Buy this Black Friday, make sure to snag this special before someone else does! Price valid Nov. 23–25. 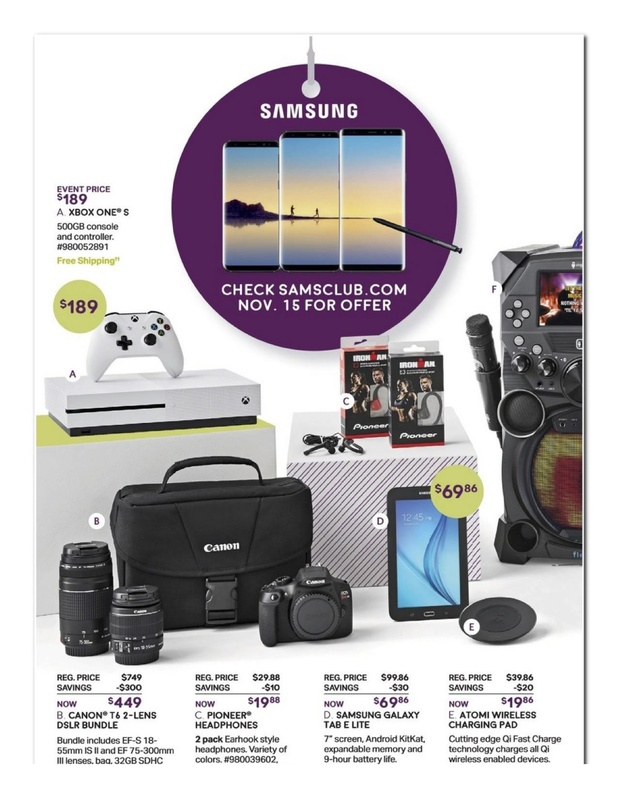 Sam's Club also has but one wireless charger to offer this Black Friday. However, just like Best Buy, the offer is pretty darn good. If you're looking for a wireless charger at a steal, Sam's Club might just be the store for you. Price valid Nov. 24–26 in stores, but starts on Nov. 23 online. Have you seen any great deals on wireless chargers for this upcoming Black Friday? Let us know in the comments below!